Several years ago I created the illustrations and designed game pieces for one of the many versions of Hasbro’s Trivial Pursuit. I also developed comps for proposed Hasbro games that never came to fruition. I’d love to construct my own board game. Here I’ve taken an illustration I drew for Chase bank, added the word brainstorm and wrapped it on a simple box that I built in Autodesk 3ds Max. BEAUTIFUL/ now, yes, get in the game. Cool you have this blog that I can come and visit to see what kind of graphics mayhem you are up to!! 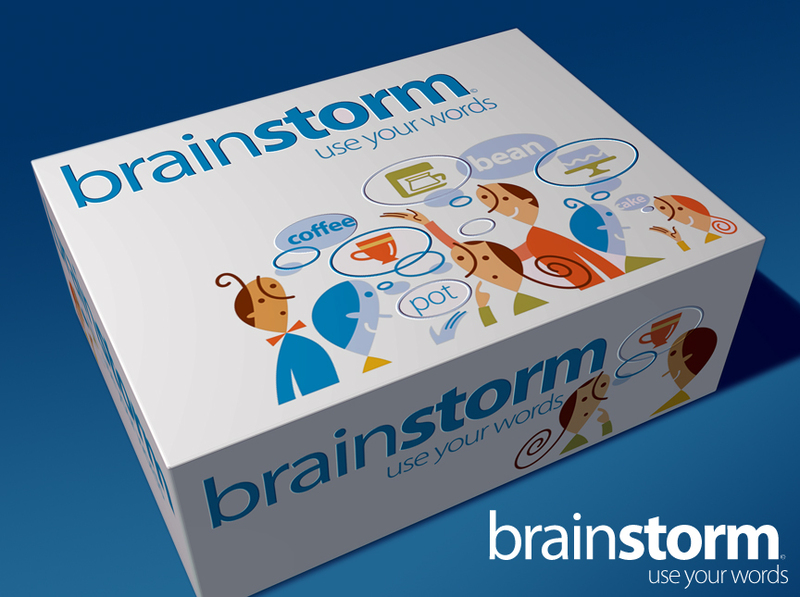 How about a synonym game, or thesaurus type game? Joe Gast! How have I missed all these beautiful posts??? I am completely in awe.